Hair stylist and fashion expert. Now that you know a little bit more about what causes dandruff, we want to give you additional information about some of the active ingredients contained in anti-dandruff shampoos. These ingredients are the reasons behind what makes anti-dandruff shampoos so valuable and the reason we chose this to be our number one combatant of dandruff. Coal tar is primarily effective at slowing down the regeneration of cells so that they die at a much slower rate. It also works by causing the skin to shed dead cells from its top layer. It has a natural anti-fungal agent but be aware that long-term use of coal tar can stain your hair if it is treated or dyed. Coal tar decreases dryness and scaling as well as itchiness. Common shampoos containing coal tar include Neutrogena T/Gel, Denorex Therapeutic Protection, and Scytera. Ketoconazole is an antifungal that will stop dandruff dead in its tracks. By killing the yeast or fungus, the dryness and flakiness on your scalp will be minimized. Keep in mind that anti-dandruff shampoos that contain this ingredient can be used on people of all ages and are often turned to when other shampoos have failed. Although commonly found in prescription medications, ketoconazole can be easily purchased over-the-counter. Ketoconazole shampoos include Nizoral, Extina, and Xolegel. Zinc pyrithione is an antifungal and antibacterial agent so it works well against dandruff caused by fungus by slowing down the production of yeast thus preventing bacteria and fungus to build up on the scalp. It is often used to treat seborrheic dermatitis as well. Common shampoos containing zinc pyrithione are Head & Shoulders, Selsun Salon Pyrithione Zinc Dandruff Shampoo or Selsun Blue Medicated Maximum Strength Dandruff Shampoo, as well as Neutrogena T/Gel Daily Control 2-in-1 Dandruff Shampoo Plus Conditioner. Selenium sulphide is a compound that reduces the production of natural oils that your scalp glands produce which then additionally slows down the rate at which skin cells on your scalp die. This ingredient is believed to be the best combatant to the fungi known as malessezia. It is important to mention that selenium sulphide can discolor blonde, gray, or chemically treated hair. In order to prevent potential discoloration, only use shampoos containing this compound as often as instructed and rinse completely with water. Shampoos include Selsun Blue Medicated Maximum Strength Dandruff Shampoo, Dandrex, and Head & Shoulders Clinical Strength Dandruff Shampoo. Salicylic acid helps your scalp get rid of skin cells, not just slowing down their reproduction. It can also be used on the face as an anti-acne medication. The downfall to this ingredient is that it tends to make a persons scalp more dry which can actually lead to more flaking and dandruff. To minimize this side effect make sure to use a conditioner after shampooing. 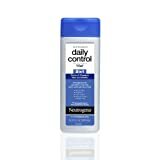 Common salicylic acid shampoos are Neutrogena T/Gel Daily Control 2-in-1 Dandruff Shampoo Plus Conditioner. Some shampoos, such as Sebex and Sebulex, also contain sulfur. Tea Tree oil comes from the Australian Tea Tree known as the melaleuca alternifolia. A growing number of shampoos now include tea-tree oil as one of its ingredients. It has been used for centuries as an antifungal, antibiotic, and an antiseptic. However, it is important to note that some people are allergic to it. Tea tree oil can be found in shampoos such as Paul Mitchell Tea Tree Special Shampoo and JASON Natural Cosmetics Shampoo, Tea Tree Oil Hair & Scalp Therapy. And finally, researchers from the Medical College of Georgia found that green tea may have potential to treat dandruff and psoriasis. Shampoos that contain green tea include Aubrey Organics Green Tea Clarifying Shampoo, Dove Damage Therapy Cool Moisture Shampoo, Cucumber, and Green Tea, as well as Green Tea Normalizing Shampoo for Healthy Hair. So there you have it. These seven ingredients found in many anti-dandruff shampoos play a critical role in ridding your scalp of its dandruff and side effects for good. Most dandruff shampoos can be used every one to two days but dandruff shampoos may have more specific instructions and may require less frequent usage. Using the shampoos as directed will guarantee they will work properly without damaging your hair or scalp. Make sure to keep the shampoo on your hair for as long as directed –at least 5 minutes- before rinsing otherwise the ingredients will not have enough time to work. Once the shampoo begins working, scale back to using it two or three times per week or stop altogether if your dandruff has been completely eliminated. If the anti-dandruff shampoo you are using appears to stop being as effective as it once was, try switching to another shampoo that has a different anti-dandruff ingredient. If conditions do not seem to improve after several weeks of testing and a few different products, consider contacting your dermatologist for prescription strength help. Does Your Pet Have Dandruff? You read it correctly: Pet dandruff. Our loveable companions are just as susceptible as we are to those pesky, white flakes. Animals such as rodents, birds, dogs, cats, and other fury creatures are all susceptible to dandruff. The dead, dried-out skin cells that rest on your pet are typically the result of some type of allergic dermatitis, which when simply put means they are reacting to something that makes their skin dry, itchy, or scaly. Now, make sure you take a careful look so you don’t confuse dandruff with your pet’s normal shedding of dead skin cells, known as pet dander. It is interesting to note that it is pet dander’s microscopic flecks of skin that is shed by cats, dogs, and other furry animals that trigger allergies in humans, not the pet hair itself. Now obviously your pet could care less about whether or not others see them with dandruff specks covering their beautiful coats. However, if left untreated dandruff may cause such discomfort for your pet that they scratch their skin raw, leaving them susceptible to the risk of infection. By scratching the surface of their skin your pet is destroying the natural defense that their skin provides. Scratching can break through all of the major layers of your pets skin, allowing the bacteria that normally rests on the top layer of skin to get underneath. This is what can lead to an infection or cause more itching, creating a never-ending vicious cycle. If you examine your pet’s coat for thinning or balding patches you can get a good indicator that dandruff may be to blame. Hydration In addition to dehydration, pets who do not drink enough water also tend to suffer from dry skin. On average, human beings are typically 60% water while dogs and cats are anywhere from 70% to 80% water. Clearly it is very important that both humans and pets drink plenty of water everyday to stay healthy and hydrated. Animals who are constantly lacking water are more prone to kidney diseases and a vareity of other illnesses. If your pet is not drinking enough water on their own, try adding some water to their food or making sure they are getting plenty of fresh water throughout the day. Diet You are what you eat has never been a more truer statement than it is with your pet. Pets need a certain amount of fat in their diet to maintain their supple skin and their shiny fur. Switching to a higher quality, holistic pet food with more Omega-3 or Omega-6 fatty acids may be just what the doctor ordered. Oils Adding a fatty acid supplement to your pet’s diet, such as Kirkland Signature Omega-3 Fish Oil Concentrate or Omega 3,6,9 for Dogs and Cats, will help prevent dandruff in the first place. These Omega-3 and Omega-6 fatty acids supplements will also help lubricate your pet’s joints, allowing them to move more easily. Moisturizers There are a number of moisturizing sprays and creams that can be applied to your pet’s skin after a good bath or combing. Combing is preferred over simply brushing because it will remove more of the dead fur that is just sitting on your pet’s skin. This will aide the air in reaching your pet’s skin and makes for a healthier coat. Combing also helps distribute your pet’s natural oils and message the skin. Moisturizing sprays and creams, such as Vet Best Moisture Mist Conditioner for Dogs and Colloidal Silver for Pets – Soothing Antifungal – Antibacterial Gel for a Wide Range of Skin Conditions, will help moisten their coat and can alleviate them from their dry, itchy skin. Dandruff Shampoos Once you have determined that dandruff is indeed the root of your pet’s discomfort, one of the best things you can do is to give your pet a bath with a medicated shampoo or conditioner. Shampoos that contain aloe or oatmeal are especially helpful, or there are even pet specific dandruff shampoos out there as well. We recommend SyngergyLabs VF Clinical Care Antiparasitic, Antiseborrheic Medicated Shampoo, DVM Pharmaceuticals Malaseb Pet Shampoo, or Earthbath All Natural Shampoo. And remember, the regular bathing of your pet can be most helpful in keeping their dandruff under control. There you have it. Treating dandruff, or better yet preventing it in the first place, will help keep your pet at their happiest and healthiest. After nine plus months of preparation, anticipation, and anxiety, the little bundle of joy you have been waiting so long for finally makes their debut. Whatever the specific journey of getting them to your family, they are finally here and they are absolutely perfect! From their little button nose, to their itty bitty legs, and even to the ape-like hair found all over their ears and back (known as lanugo and is completely normal, by the way). Your baby is perfect in every single way. Fast-forward a few months. That same bundle of joy is finally sleeping contently, giving you a chance to sit down and examine his or her precious little features and just how much they have changed over the past few months. Although they are still that perfect little baby you brought home, there is something noticeably different. This something is flaky, brown, and scaly and it is making itself at home on the top of your little one’s head. Now before you hit the panic button, let me explain a few things about this very common, very harmless condition. Cradle cap. Chances are you have heard of it before. But do you really know what it is? The technical term is infantile seborrheic dermatitis (or in laymen’s terms, baby dandruff) and chances are it will go away all on its own in about 6 to 12 months. Although most common in newborns, it can be seen in children as old as 3. And relax, it is completely harmless and will upset you far more than your child. In addition to an infant’s scalp, cradle cap can also be found on their eyelids, armpits, ears, diaper area, or other parts of the body where creases can be found. Greasy or oily patches of skin, thick crusts on scalp, flakey white or yellow scales, or mild redness are all common signs of cradle cap. However, if your baby seems uncomfortable or itchy from the spots on their skin then it is typically eczema, not cradle cap, to blame. Rest assured that although the exact cause of cradle cap is unknown, experts agree that poor hygiene or allergies are not the source. One contributing factor, however, may be that the hormones which pass before birth from the mother to the baby are over stimulated, causing an abnormal production of sebum (oil) in the oil glands and hair follicles. This overproduction clogs pores and you and your child end up with cradle cap as a result. Other factors such as extremes in weather, already oily skin, and other problems with the immune system may make it more likely that a child will develop cradle cap. How to Treat Cradle Cap? • Wash your baby’s hair once a day with a mild baby shampoo (We recommend California Baby Calendula Shampoo and Body Wash). • Gently message your baby’s scalp with a soft brush, washcloth, or your fingers in order to loosen the scales. • Rub a tiny amount of natural oil, such as olive oil or almond oil, or petroleum jelly, on your baby’s scalp and leave it on for 10 to 15 minutes. Gently comb out the flakes with a fine-tooth comb or brush and then wash scalp with a gentle shampoo. If left on their head it could clog their pores and worsen the cradle cap. • Do NOT use over-the-counter antifungal creams without talking to your pediatrician first because these balms can be toxic when absorbed through the skin. In most cases, medical attention is not necessary. It is important to add that if your baby’s cradle cap does not improve with time, if you notice it spreading, or if there is any bleeding, that you contact your baby’s pediatrician. Make note of how long your baby has had cradle cap, what you have done to try and treat it, and how often you shampoo your baby’s hair. What’s the Best Dandruff Shampoo? What is the Most Effective Dandruff Shampoo? That annoying itch on your scalp. The dead skin specks throughout your freshly washed hair. The white flakes that noticeably adorn all of your shirts. What is this common, yet rarely discussed, problem of yours? You guessed it: Dandruff. It’s not that you don’t care about your appearance, although you think others may perceive it as such. Obviously you have tried everything out there but nothing seems to rid you of this pest. We understand that finding the best treatment to free you of dandruff once and for all is a daunting task and that’s why we’re here to help. We have put together a one-stop shopping guide to help you find the best dandruff shampoo that will finally rid you of that pesky dandruff for good. And if that’s just not good enough for you, we have also included natural, nontraditional ways to end this problem once and for all. Take a look! We promise you will not be disappointed. Although we have all heard about dandruff, and many of us have even had to deal with it, how many really know what the word means? Well, look no further. Also known as scurf or pityriasis simplex capillitii, dandruff is a common, chronic flaking of the skin on a person’s scalp. All over our bodies our skin cells are continuously renewing themselves without so much as a thought from us. As the skin cells on the scalp are renewed, the dead cells are pushed to the surface and then expelled out of the scalp. For people with dandruff the old cells are dying at a much slower rate than the new cells are being produced resulting in more skin being shed and subsequently dandruff. Fortunately signs of dandruff, as well as its symptoms, are fairly easy to spot in most teens and adults. Often white, oily looking flakes of dead skin dot your hair and shoulders. You may notice you have an itchy, scaly scalp or your head may feel tight, tingly, and/or sore. THE best way to remove dandruff is with shampoo. I know what you are thinking, “There are hundreds of anti-dandruff shampoos out there claiming to be number one, how am I to know which one will actually get the job done?” Below are fifteen of the best, tried and true, no-fail dandruff shampoos out there. Take a look at what other dandruff sufferers have sworn works for them and try it out for yourself. When you have been dealing with dandruff, waiting for a month for treatment to kick in seems like forever, which is why this product is so amazing. 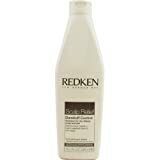 Users have said they have noticed a difference “after the first use” and that this product “worked really fast.” Another consumer raved, “My scalp was always itchy and no matter what dandruff shampoo I used the problem would not go away until I used Redken. By the second application no more itch or dandruff left.” And wait, there’s even a conditioner (link to conditioner as well?) to pair with the shampoo for that extra dual-fighting coverage. 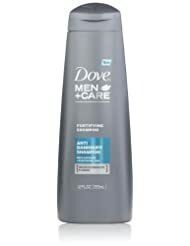 One dandruff critic was excited to announce, “The best thing about this product (other than it actually works) is that it doesn’t smell bad!” Another user has tried many dandruff shampoos and insists, “This is the best product I’ve round for controlling dandruff.” And another product bonus? This is a shampoo and conditioner package. “Feels so good on my scalp and the green apple scents smells nice” comments one fan of this anti-dandruff shampoo product. 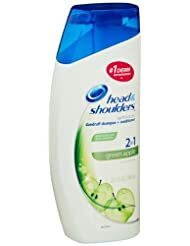 Others have claimed this is the “best shampoo-conditioner combo around” and that it truly does the job of keeping the flakes off of their shoulders and head, hence the clever name of Head & Shoulders. “This shampoo balances and heals dry scalp unlike anything I have ever tried. It is truly amazing! Treat yourself!” raves one user. Another adds, “It is so natural and smells great. Hair loss stopped and dandruff reduced.” In hair care, burdock root diminishes hair loss, increases the vitality of your hair and scalp, and also reduces dandruff. In skin care it is known to heal a variety of issues such as acne or eczema. As a wide-ranging anti-fungal and anti-microbial, it is useful against scalp inflammation or hairline pimples. Although is may seem odd to some, one user was thrilled to find a gluten free shampoo and recommends this as “Perfect for anyone looking for a healthy gluten free shampoo.” Another swears by this product, noting, “If you have stubborn scalp issues, I highly recommend this product,” although he does mention it will take some time (approximately one bottle) to see such dramatic results. “This shampoo leaves my scalp so clean and healthy, and it is so refreshing!” praises an avid Garnier user. Many others love that this shampoo is not only “effective at preventing dandruff” but that it is also a low-cost hair care product. What a win-win! With natural mint, this shampoo has been clinically proven to help eliminate dandruff symptoms. One customer was left in awe, noting, “Who would think that something so affordable would be so effective. I not longer have scalp poriasis!” Another claims, “This product does make a difference in dandruff” after only a few washes. Aspirin: Aspirin contains what is known as salicylates, which is an active ingredient in dandruff shampoos that contain salicylic acid. To try this method, take two tablets of aspirin, crush them into a fine powder, and add it to your shampoo. Once the aspirin and shampoo are lathered in your hair, let it sit for one two to minutes before rinsing. Wash hair again, this time without any aspirin, in order to eliminate any remaining powder. Natural Oils: Olive, coconut, or almond oils can help prevent dandruff by keeping the scalp moisturized. Simply warm one of the above mentioned oils in a bowl and message onto your scalp. Wrap your hair in a towel and leave the oil in overnight. Rinse in the morning and see the remarkable effects. Apple Cider Vinegar: Here is yet another use for the cure-all apple cider vinegar. After lathering your hair with shampoo, combine two cups of apple cider vinegar with two cups of cold water and rinse the shampoo from your hair. This will help keep the scalp from becoming too flaky. Baking Soda: Although less favorable than the previously mentioned methods, replacing your regular shampoo with baking soda for a few weeks has worked to decrease dandruff. While in the shower, vigorously rub a handful of baking soda into your scalp and thoroughly rinse. The exact cause of dandruff remains unknown but most experts agree that it is not caused by poor hygiene. We already know scalp skin cells being produced at a much faster rate than they die contributes to dandruff, but what are some other factors? Dry skin: This is THE most common contributor of dandruff. Dry skin flakes are typically smaller and less oily than those coming from other causes of dandruff and signs and symptoms are often seen elsewhere on the body, such as on your arms and legs. Dry skin dandruff often increases in number during the winter because of cold air combined with overheated rooms. In other words, dramatic changes in temperature contribute to dandruff. Seborrheic dermatitis: Or in laymen’s terms, irritated and oily skin. This is also a leading factor in dandruff. Seborrheic dermatitis not only affects the scalp but also other areas of the body rich in oil glands such as the eyebrows, sides of the nose, back of the ears, groin, breastbone, and at times the armpit. This condition is evident by having red, greasy skin covered in flaky yellow or white scales. Dandruff is considered a mild form of seborrhoeic dermatitis. Malassezia: As awful as it is to think about, malassezia is a yeast-like fungus that lives on the scalp of most adults and yet only causes irritation in some. This fungus feeds on the oils our hair follicles secrete which can irritate the scalp and cause more skin cells to grow. As the excess skin cells die and fall off of our scalp, they mix with the oil from our hair and scalp and are then seen as what we know as dandruff. Why, exactly, malassezia irritates some scalps and not others is still unknown. Not enough hair brushing: The regular combing and brushing of your hair aides the scalp in shedding the excess dead skin. You have a slightly higher risk of having dandruff if this is not done on a regular basis. Not enough shampooing: Although under debate, many experts agree that oils and skin cells from your scalp can build up if you do not wash your hair regularly, causing dandruff. Sensitivity to hair care products: On the flip side, shampooing too frequently or using too many styling products may also irritate your scalp and cause dandruff. Sensitivities to certain ingredients in dyes or hair care products, especially paraphenylenediamine, can cause an itchy, red scalp which is also known as contact dermatitis. Certain skin conditions: Those with skin disorders, such as psoriasis (a chronic autoimmune disease that mainly affects the skin and is marked by a speedy buildup of coarse, dry, dead skin cells that form thick scales) and eczema (a chronic, inflammatory skin condition where the skin becomes itchy, reddened, cracked, and dry), tend to get dandruff more frequently than other people. Unfortunately, this cause is out of your hands. Diet: Experts believe people who do not consume enough of foods that contain B vitamins, zinc, and some types of fats are more prone to dandruff. Diets which are too salty, sugary, or spicy that are accompanied by excessive alcohol use may also be to blame. Mental Stress: Some specialists believe there is a link between stress and many skin problems including dandruff. As a person becomes stressed their level of cortisol, the body’s stress hormone, rises. This in turn increases oil production, which can then lead to dandruff. If the thought of trying yet another anti-dandruff shampoo is enough to make you want to scratch off all of the dandruff with your bare hands, then you have surely come to the right place. These natural, nontraditional ways of clearing your scalp are sure to be just the trick you are looking for. Looking for the Best Natural Dandruff Remedy? Yogurt: As strange as it may seem, the live bacteria contained in yogurt can improve your dandruff situation as well as the overall health of your scalp. After washing your hair, simply message a small amount of yogurt onto your entire scalp and leave it on for 10 to 15 minutes before rinsing. Rewash with a small amount of shampoo to ensure all the yogurt has been removed. Aspirin: Aspirin contains what is known as salicylates, which is an active ingredient in dandruff shampoos that contain salicylic acid. To try this method, take two tablets of aspirin, crush them into a fine powder, and add it to your shampoo. Once the aspirin and shampoo are lathered in your hair, let it sit for 1 to 2 minutes before rinsing. Wash hair again, this time without any aspirin, in order to eliminate any remaining powder. Lemon Juice: The acidity found in lemons helps balance the pH of your scalp by stripping the dandruff-causing oils from your hair. Message approximately 2 tablespoons of fresh lemon juice onto your scalp and let it sit for a few minutes. Rinse with water and repeat, except this time stir 1 teaspoon of lemon juice into a cup of water and merely rinse your hair with it. Continue this process daily until your dandruff disappears. Natural Oils: Many experts agree that coconut oil is a “tried and true” dandruff remedy. Rub 3 to 5 tablespoons of coconut oil onto your scalp and let it sit for about an hour before shampooing normally. Olive oil is another natural oil that, when left to soak overnight, will help improve your dandruff situation. Message roughly 10 drops onto your scalp and cover with a shower cap overnight. Shampoo your hair as usual the following morning. Using tea tree oil, which is an ingredient found in many dandruff-fighting shampoos, is also a great way to improve the severity of your dandruff. Just add a few drops of tea tree oil to your favorite shampoo and wash your hair normally. Apple Cider Vinegar: The famous Dr. Mehmet Oz swears by the many beneficial uses of apple cider vinegar, one of which is its ability to treat dandruff. The acidity of apple cider vinegar changes the pH of your scalp (similar to the lemon juice from above) and makes it more difficult for yeast to thrive. Mix equal parts of apple cider vinegar and water (approximately ¼ cup to 2 cups) and spray on your scalp. Wrap your head in a towel and let it sit anywhere from 15 minutes to 1 hour and then wash your hair as usual. Repeat this process twice a week. Aloe Vera: Rubbing aloe vera onto your scalp before shampooing will help soothe the itching side effect of dandruff. Aloe vera has antifungal and antibacterial properties that can aide in the fight against dandruff. Baking Soda and Salt: The answer to all of your dandruff troubles may be found within your very own kitchen. By rubbing a handful of baking soda onto your wet hair you may be able to decrease the overactive fungi that can cause dandruff. Don’t be alarmed if your hair dries out at first, after a few weeks of treatment it will begin making its essential natural oils which will leave not only leave your hair free of flakes but softer as well. Also, the abrasiveness of regular table salt works wonders on scrubbing out dandruff flakes. Simply shake a good amount of salt onto your scalp, giving it a firm message. Once you have loosened a lot of the dry flakes of skin shampoo as normal. Herbs: Herbs such as bay leaf, barberry, and rosemary are believed to have properties that can be effective against the battle against dandruff. Mix 1 quart of boiling water with a handful of crushed bay leaf. Cover and let sit for 20 minutes before straining and cooling. Once the liquid cools slightly, use it to rinse your scalp. Leave remnants of the bay leaf water in your hair for an hour after applying and then rinse with clean water to remove the surplus. Another herb, known as the Canadian barberry, has antibacterial and antifungal properties. Boil 2 teaspoons of bayberry root in 1 cup of hot water and use the mixture to rinse your hair after shampooing. Rosemary also has antifungal and antibacterial properties. To use this herb, simply mix 1 cup of hot water with 1 teaspoon of chopped rosemary. Strain and cool the liquid before rinsing your hair with it. Garlic: Although the smell of garlic may be unappealing, the anti-fungal properties found within are ideal for removing the bacteria that causes dandruff. Rush garlic and rub it into your scalp before washing as usual. Healthwithfood.org suggests mixing crushed garlic with honey in order to minimize its powerful aroma. Mouthwash: If you suffer from a sever case of dandruff, wash your hair with regular shampoo, rinse with an alcohol-based mouthwash, and follow with your regular conditioner. The anti-fungal properties found in ordinary mouthwash help stop dandruff-causing yeast from developing. So there you have it: Ten Alternative Dandruff Solutions. Whether the best dandruff shampoos have just not worked for you, or if you simply want a natural home remedy, these nontraditional methods are surely going to be your answer. Pros: Head & Shoulders is a trusted and familiar hair care brand. The number one reviewer mention about this particular dandruff controlling shampoo is that it has an amazing green apple aroma. Its dual action formula not only cleans and cares for your scalp but conditions it as well. The gentle pH balance is safe for even colored or chemically treated hair. Another customer favorite quality is that it is a great price value for the bottle size. Cons: Some users complain this shampoo will only work with the mildest cases of dandruff. Although most customers have placed the scent of this shampoo as a positive, some also list it as a negative because the green apple aroma is just not their cup of tea, insisting the scent is quite strong. Another complaint (although we feel it to be most minor) is the bottle cap is poorly constructed and the bottle shape makes it difficult to keep a handle on while on the shower. Regular use of this dandruff shampoo and conditioner combination leaves your hair dandruff free with a beautiful, clean shine. Consumers rave of its benefits for fighting dry and itchy scalp, as well as relieving irritation and redness for a fabulous price. Pros: This shampoo greatly reduces dead skin cell shedding and stimulates cell regeneration on your scalp. It is rich in all-natural compounds rosemary, sage, tea tree oil, and spikenard. The combination of these ingredients makes this shampoo gentle enough for even the delicate, color-treated hair. Cons: One major complaint is that for the price of this product the bottle should be bigger. Results also tend to be slower to see compared to other dandruff shampoos and for some the smell of the natural ingredients is less than desirable. The comfort of using an antidandruff product that is gentle on color-treated hair is outweighs the fact that results tend to be a tad slower to manifest than other shampoos on the market. If you can handle the smell of the all-natural ingredients than the outcome is surely worth the wait! Pros: Consumers love how The Body Shop Ginger shampoo effectively removes oil and gives them much needed relief from the constant itch of dandruff. Once your dandruff fades away, users claim it does not come back. This shampoo also has great, sturdy packaging, which is always a bonus when it comes to hair care products. Cons: Like many pitfalls of the best dandruff shampoos, customers are not a fan of the price-per-ounce ration. It is also not recommended for everyday use and can be difficult to find in local stores. Although a bit pricey, this product really works! Consumers who bought this beautifully packaged product really swear that it can truly eliminate your dandruff forever. 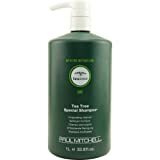 Pros: One of the biggest benefits of the Paul Mitchell Tea Tree Special shampoo is its chief ingredient: Tea tree oil. Tea tree oil is not only helpful for dandruff but can also help clear up acne. Tea tree oil has also been used as an antifungal, antibiotic, or antiseptic for centuries. This shampoo is good for a wide variety of hair types including thick, curly, fine, and oily. Cons: If used too frequently, customers complain this product dries their hair out. Another downside for some could be an allergy sensitivity to the main ingredient of tea tree oil. Fighting dandruff and acne all at once is a huge user draw to this wonderful antidandruff product. We would steer clear of this product if allergies are a problem, otherwise it is the perfect dandruff solution for a wide-variety of hair types. Pros: Nizoral contains the most prescribed ingredients to treat dandruff that you can get without a prescription which puts this product above the rest. This product has a fabulous lather, leaves your hair smelling magnificent, and is even effective combating hair loss! Cons: The relatively high cost paired with a small bottle size is the biggest downside for this product. Some costumers have mentioned that it is difficult to find in their local stores. Also, it is only recommended for 12 years of age and older and if you are pregnant or breastfeeding you will need to consult with your doctor before use. Unlike other shampoos, Nizoral only needs to be applied twice a week in order to manage dandruff, whereas most other dandruff shampoos need to be applied daily, making the cost of Nizoral bearable. This product is made in Italy and contains the active ingredient ketoconazole, which is an antifungal medicine used to treat fungi, such as dandruff, along with yeasts. If you have severe dandruff and other shampoos are just not helping, you simply have to try this product. Since dry skin is often a leading cause in creating dandruff, another different route you may want to try is applying a good moisturizer to the eyebrows every night before you go to bed. Start by spending a few minutes scrubbing your eyebrows in a circular motion in order to get rid of the extra flaky, dry skin. Next, wash and rinse your face well to rid it of all the soapy residue and dandruff and pat dry with a towel. Follow this by applying extra moisture to the skin underneath your eyebrows, which will help prevent more dryness from occurring, and will then affect how much excess flaking there will there be. Because the skin around the eyes is very sensitive, make sure to use an eye or facial cream since body and hand creams tend to be very rich and can cause breakouts or make your eyebrows greasy. Feel free to apply some moisturizer throughout the day as you see necessary, or you may even wish to try using hydrocortisone cream instead of a facial lotion. If dandruff shampoos and extra moisture does not seem to be working for you, you may want to try using a topical steroid cream. It is important to note that using a steroid cream for a long period of time may have negative effects on your skin so make sure you speak to your doctor before taking this step. He is she may wish to try prescription-strength anti-dandruff shampoos or look at the source of your eyebrow dandruff more closely. Aside from dry skin, another possible reason you have developed eyebrow dandruff may be due to an unknown allergy you have to a skin, hair, or cosmetic product. If you suspect this may be the source behind your dandruff problems, stop using all products that come in contact with your eyebrows in any way for a few days to see if your condition improves. If your situation does indeed improve, you may slowly add products back into your daily beauty routine until you can accurately determine which one it was that was causing the irritation.